An innovative idea should also bring along with it a perfect method of execution. 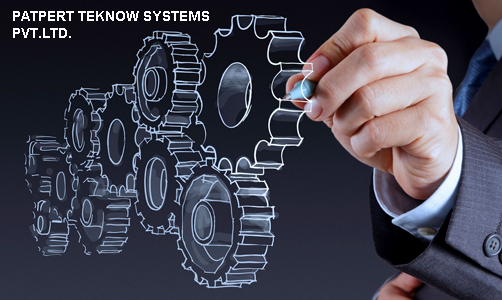 That's just the way PATPERT Teknow Systems Pvt. Ltd. (PATPERT) operates. An Engineering Company based in Pune (India), 'Parapet excels in offering Process Design, Basic Engineering, Design, Drafting Er Detailing through 3D Modeling & Simulations. it boasts of a robust infra-structure and a highly enthusiastic, dedicated team of professionals with Engineering, Project Management and Manufacturing background. Hardly any wonder then, that 'PATPERT' is acknowledged as the most dependable name to rely on for any engineering It execution solutions. PATPERT offers everything ranging from concept to commissioning through Value Engineering, Process Optimization and Innovative applications. 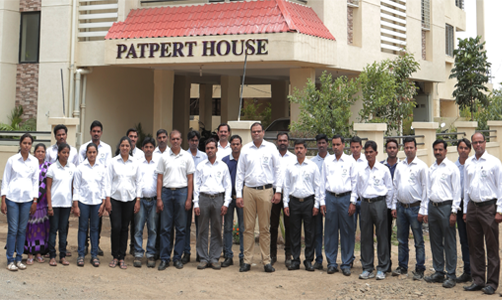 As a result of this consistent endeavor in delivering excellence, many Indian & Multinational Organizations of high repute have chosen PATPERT for various requirements. Our expertise in offering 3D Services (Design, Develop, and Deploy) has won us great acclaim and a contented clientele that is ever escalating. 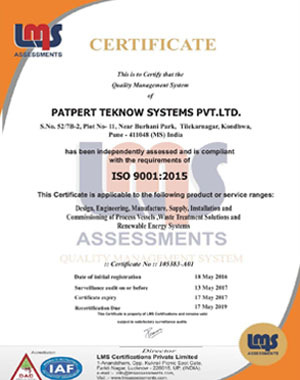 "Patpert is committed to deliver accurate, innovative, reliable, time-bound and optimized Engineering solutions to achieve customer satisfaction and continual improvement by following standard Engineering practices and effective implementation of systems." To become globally renowned organization in the field of engineering services, sustainable energy solutions, through innovative engineering applications and services. Professional Engineers from different disciplines (Chemical, Mechanical, Production, Computer, Instrumentation, Civil, CAD designers). Tie-ups with well-equipped manufacturing factories near Pune to handle various fabrication requirements in Stainless Steel, Copper and carbon steel. Certification: ISO 9001:2015, CRISIL rated. IIC: Industry Institution Collaborations, tie up with Pune Vidyapith M.Sc. Environment Dept. FORTE: Team is our forte, more than 30 Qualified Professionals.